The landscape of the videogame industry changed forever with the release of id Software‘s epochal corridor shooter, DOOM. In this issue of the podcast, Leon, Darren, Karl and new panellist Jon Salmon re-open the sphinctered dimensional gateway to pain, pandemonium and Pinky Demons. 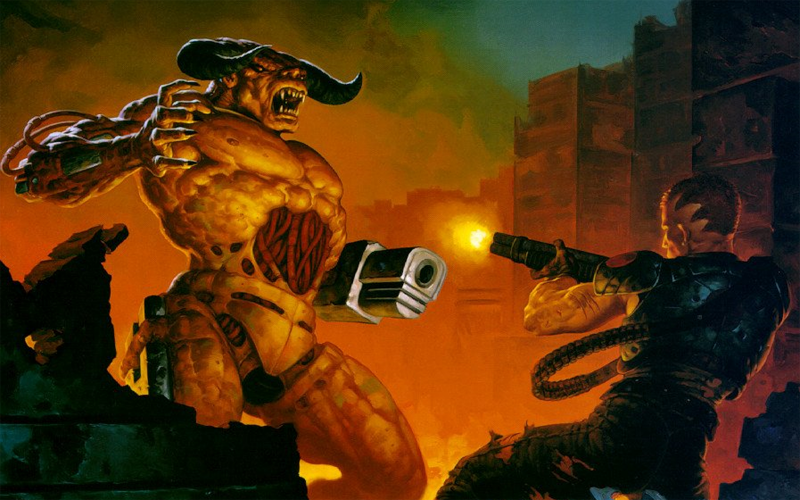 Along with contributions from the Cane and Rinse forum and Twitter feed, our fearless Doomguys talk about everything from the original single episode shareware DOOM, through DOOM II, The Ultimate DOOM and Final DOOM via all the various console ports as well us up to and including WADs and mods like last year’s Brutal DOOM.